So I finally pulled my Halloween stash out of storage and decided it's time to get started. I purchased the 'Incantation' image from The Paper Shelter and had to color this cute witch with all her potions. Isn't she cute, when I saw her I knew she had to have Red Hair, so I pulled out the Copics and got started. Papers, ribbon, ticket sentiment are all from my stash. Nancy, this is fabulous! Your colouring is gorgeous and I love your dp. Thanks for joining us in the Squigglefly challenge this week! I love this. The layout and the paper you used, and that great image so wonderfully colored! Thanks for playing in Squigglefly's challenge this week! Gorgeous!!! 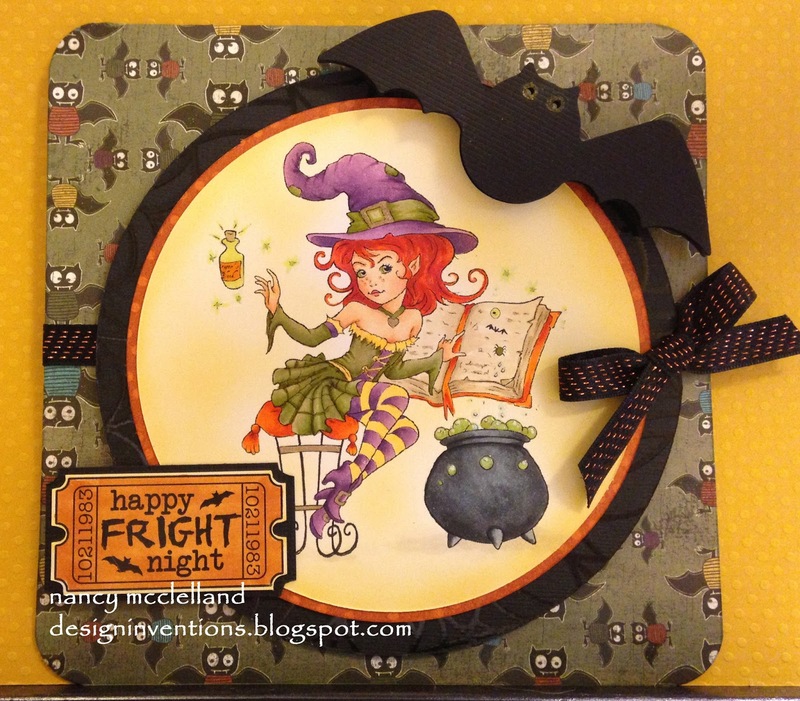 Your coloring is fabulous and I love the bat & the ticket sentiment! Thanks for joining us at The Corrosive Challenge!